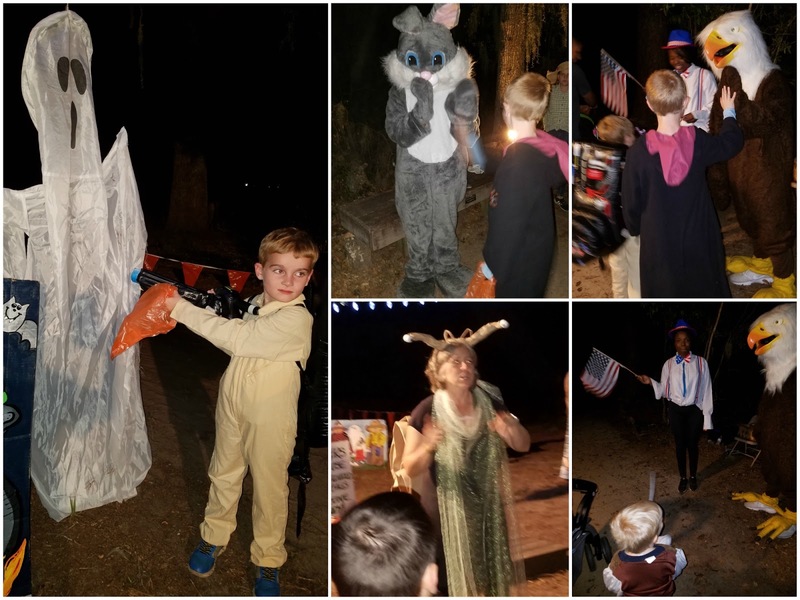 We wore several costume themes this year for various events. 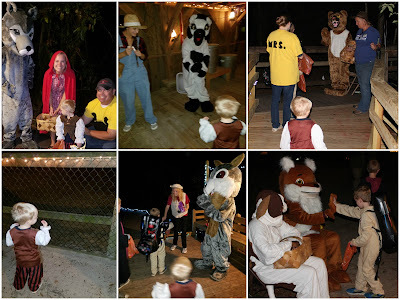 Our first Halloween outing was to the Oatland Wildlife Center for their annual Halloween Hike which is their biggest fundraising event to raise money to keep the place going. After I visited in September and heard about the Halloween Hike, I knew I wanted to go. We arrived a little late because of traffic and a longer drive from our house, and the line to drive in was really long. When we finally got inside, it was very dark and hard to see a lot of the exhibits. 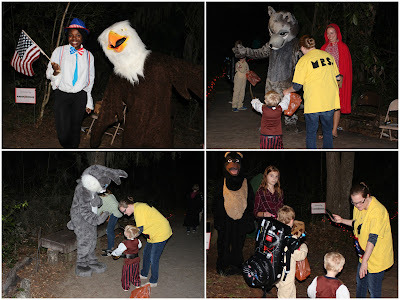 The kids enjoyed hiking the trail in the dark and meeting lots of fun characters along the way. We didn't see many of the animals on this adventure so the big boys will need to go back in the daytime. The treats the kids received were mostly non-candy, but the hike was the main focus anyway. 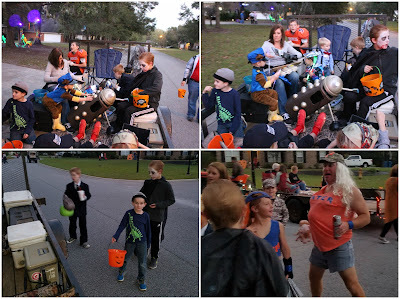 The kids wore some old costumes they already had. 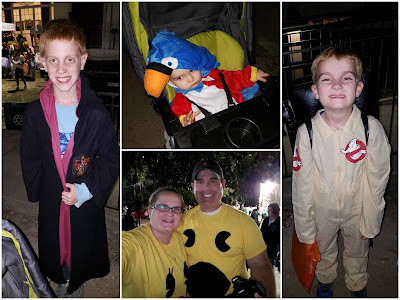 Evan went as Harry Potter again, Brody was a Ghostbuster, and Mattox and Grayson went as a pirate and parrot pair. 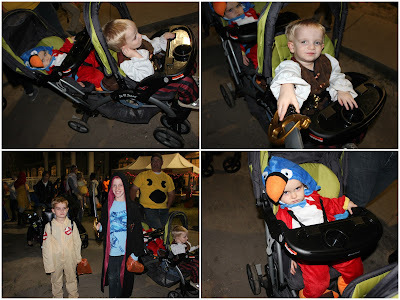 I meant to get pictures of them in the pirate and parrot costumes because they were special since big brothers had worn them when Brody was a baby, but I never got around to doing it. Sigh. 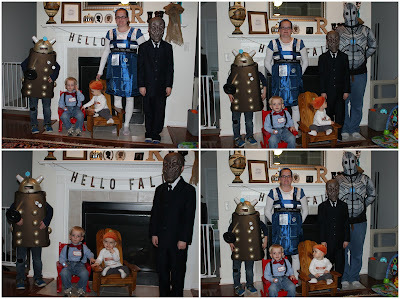 On Halloween night, our family dressed in our Doctor Who themed costumes. 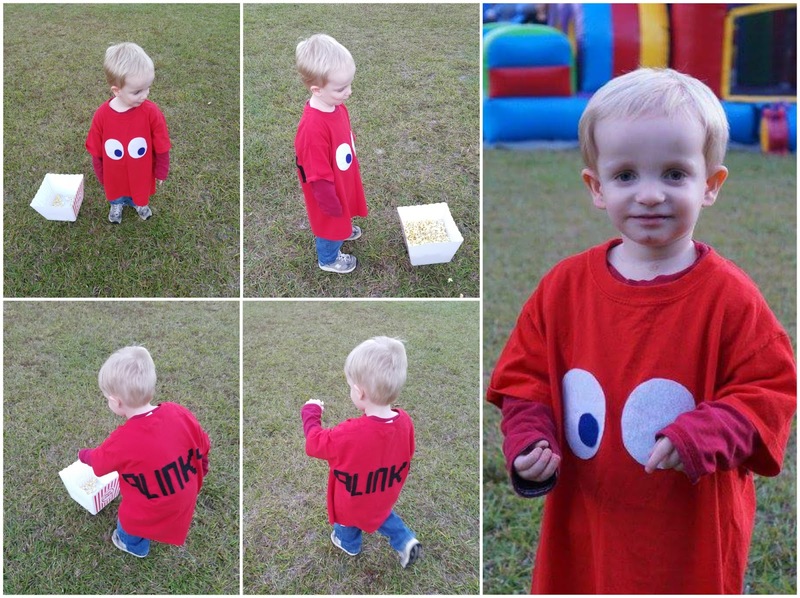 I knew very few people in our neighborhood would understand our costumes, but this theme was mostly for me and Evan. 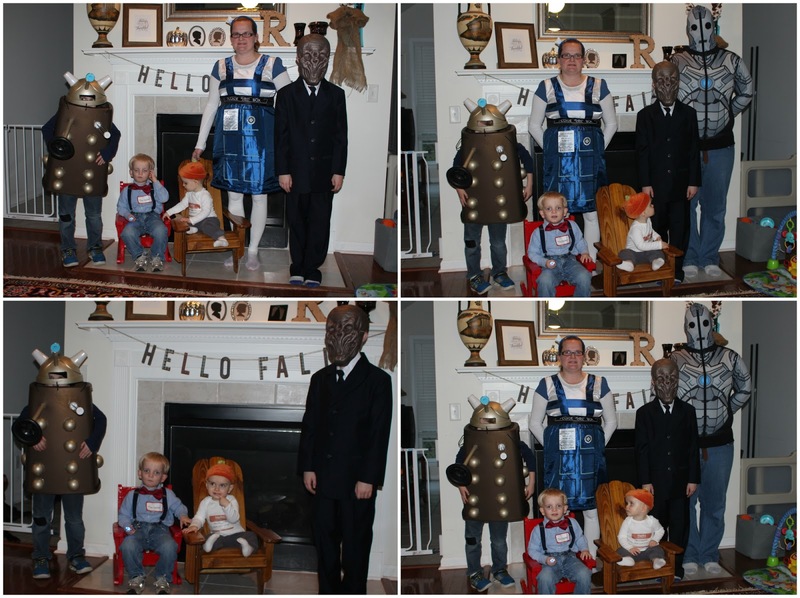 Brody did enjoy being a Dalek since he did have the coolest looking costume. 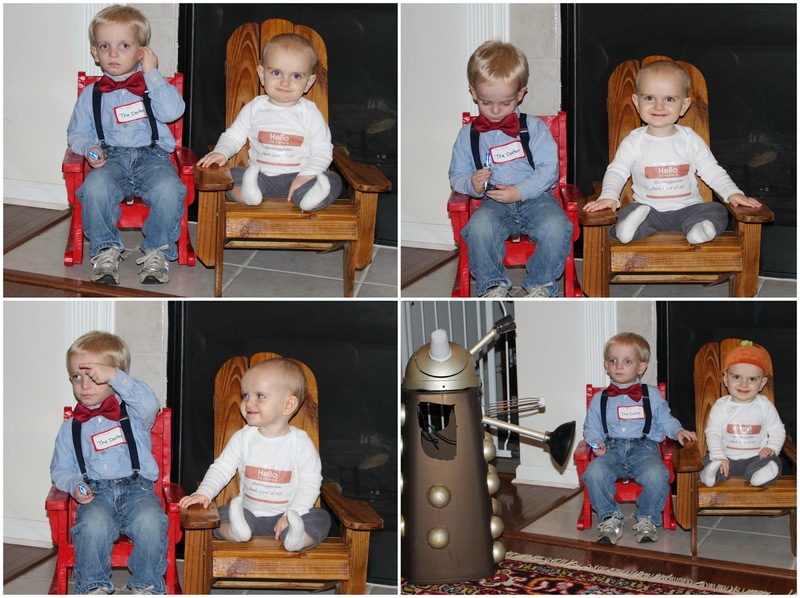 Mattox and Grayson were the cutest Doctor and Baby Stormaggedon. Evan was the Silence, Eddie was a Cyberman, and I was the Doctor's Tardis. I will try to briefly explain these characters for future reference. The Doctor is the main character of this very long running British sci-fi show. The Doctor is an "alien" from a planet called Gallifrey, and he is the last of his entire species after a very long and dreadful war called the Time War. His species are called Time Lords because they mastered the ability to control time and space and can travel through time in their devices like the Doctor's Tardis. The Tardis looks like an old British Police Call Box, but that look was chosen by the first Doctor. The Doctor can live pretty much forever as long as he can regenerate whenever he is about to die. He regenerates and changes his complete appearance every time. The main archenemy of the Doctor is the Dalek race which dates all the way back to the Time War. The Daleks want to "exterminate" everyone who is not Dalek because they believe they are the only perfect and supreme race. They lack any ability to feel compassion or good feelings. They despise the Doctor most of all since he is completely good and even shows mercy to the Daleks time and again. In later seasons, you learn that the Doctor was actually a part of the creation of the Daleks when he "saved" the Daleks' creator. The Cybermen were also enemies of the Doctor, and you learn that they were actually human or human-like species once and were turned into cyborg machines who want to turn the rest of humanity into cybermen. The Silence were a newer nemesis that appeared in the later seasons. Apparently, they have inhabited the earth with us for centuries unseen. How is that possible? Well, if you ever see a Silence, you immediately forget them when you look away from them. The characters in the show took to making tallymarks on their skin to remind them when they had encountered a Silence. Kind of freaky when they would suddenly look in a mirror and see tallymarks all over their faces and bodies. Ha! The Silence were originally started as a "religious order." They tried to kill the Doctor to prevent the fruition of a specific prophecy, which stated: "On the fields of Trenzalore, at the fall of the eleventh, when no living creature can speak falsely or fail to answer, a Question will be asked, a question that must never, ever be answered." This question was "the First Question, the oldest question in the universe, that must never be answered, hidden in plain sight." Dorium Maldovar told the Eleventh Doctor that the question was: "Doctor Who? ", which was a question the Doctor had been apparently running from his entire life. This question was later revealed to be a code word intended to allow the Time Lords to know that it was safe to return to the universe from the pocket realm that the Doctor had placed them in to end the Time War. The Silence feared that if the Time Lords and Gallifrey returned, the Time War would begin anew and the only way to stop this from occurring was to prevent the Doctor from giving his true name to the Time Lords through a crack in time at Trenzalore. Anyway, it gets pretty complicated when you try to summarize so many seasons and episodes. Baby Grayson was the cutest little Stormaggedon which was a character in a more recent season when the Doctor meets the always adorable James Corden. He helps James Corden's character finally tell his friend that he loves her, and they eventually get married and have a baby. The Doctor returns for a visit while James Corden is having a weekend alone with the baby to "prove himself" as a father. When the Doctor asks Corden what they named the baby, he "assumes" they named the baby the Doctor after himself. Corden tells him the baby's name is Alfie. The Doctor says the baby likes that, but he prefers "Stormaggedon, dark Lord of all." He says he knows this because he "speaks baby." Coincidentally, he has also claimed to "speak horse." Haha! He says the baby calls his Dad and himself "not mum" and everyone else is "peasants." It really was the cutest episode. Okay, enough Doctor Who information. After we all dressed up for pictures, we went out to trick-or-treat. 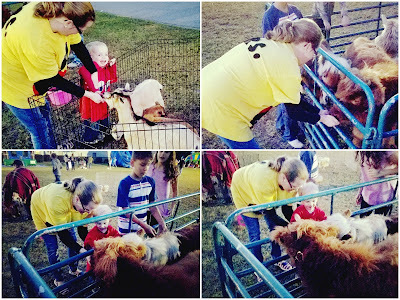 Our neighbors and Evan's best friends were going out in a trailer pulled by their ATV so we hitched a ride with them. Evan is so lucky to have one of his best friends living right across the road on our cul-de-sac. They never want to come in the house and play all the time. Brody joins them too. Unfortunately, Brody's costume was too bulky for trick-or-treating so it got left on the trailer so he could keep up with the big kids. Daddy and Mattox trick-or-treated while I held Grayson. It was a divide and conquer year, but I can't wait until Grayson can join in the fun more. We had one more Halloween event at our church on Wednesday night with a big Fall Festival with inflatables, games, a petting zoo, and food. It was a really fun Halloween! The only pictures I got of the little pirate and parrot in their stroller on the Halloween Hike. Evan may just have been another Hogwarts student this time because he was not wearing his glasses or scar. He really does hope to get his Hogwarts acceptance letter when he turns 11, and I know he would love to be in Gryffindor although I could see him being in Ravenclaw because he is so smart although I think he is brave when he has to be like a Gryffindor. Brody was a Ghostbuster this time, and Mr. and Mrs. Pac-Man were the parents of this motley crew. I took pictures with my cell phone this time so the lighting was very dark. 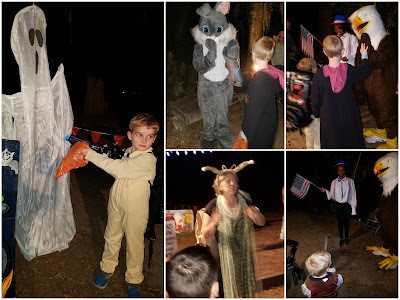 Brody captured a ghost, and Evan met a bunny and Mr. Bald Eagle. I am not sure what the woman with the antenna was supposed to be...looks like something from The Neverending Story to me. 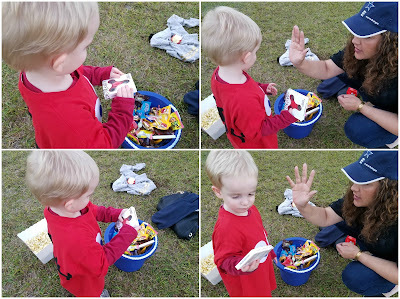 Mattox got his treats from the bunny and the big bad wolf. Little Red Riding Hood and the Big Bad Wolf were very friendly. There was also a farmer and horse, and I can't remember what that big brown creature was. It may have been a bear but could have been a squirrel or something else. 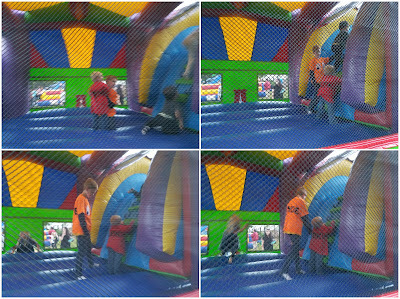 Brody high fived the fox. The Bee and Beekeeper were appropriately standing by the beehives where they produce honey at the Reserve. 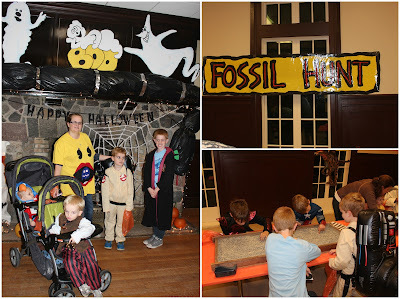 Back in the building, there was a fossil hunt where the boys could find shark's teeth to keep, and I had to get our picture with the decorations of course. The Doctor is ready to save the universe! But he hates his fez. 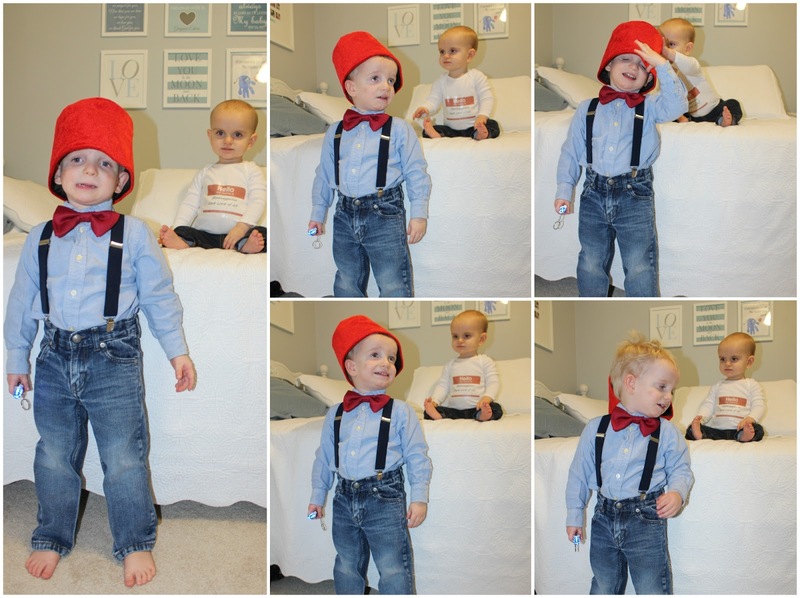 The Doctor played by Matt Smith wore a fez because "fezes are cool." Baby Stormaggedom stole the Doctor's sonic screwdriver. Another important aspect of the Doctor is that he carries no weapons and hates guns...at least until the 12th Doctor who is a little more combatant. 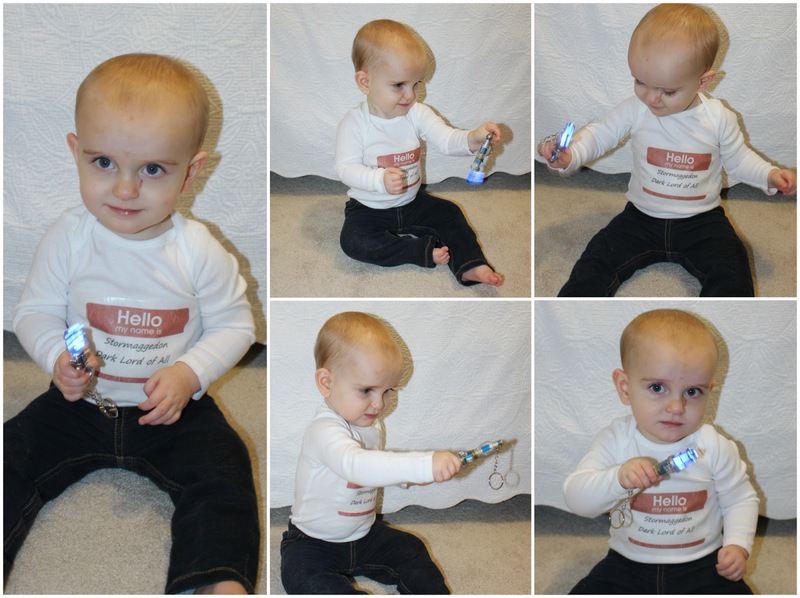 His only "tool" is a sonic screwdriver that can do all manner of useful things to save the day. It opens any door, breaks down barriers, fixes things, etc. I decided to get one that was a keychain so I could use it on my keys. 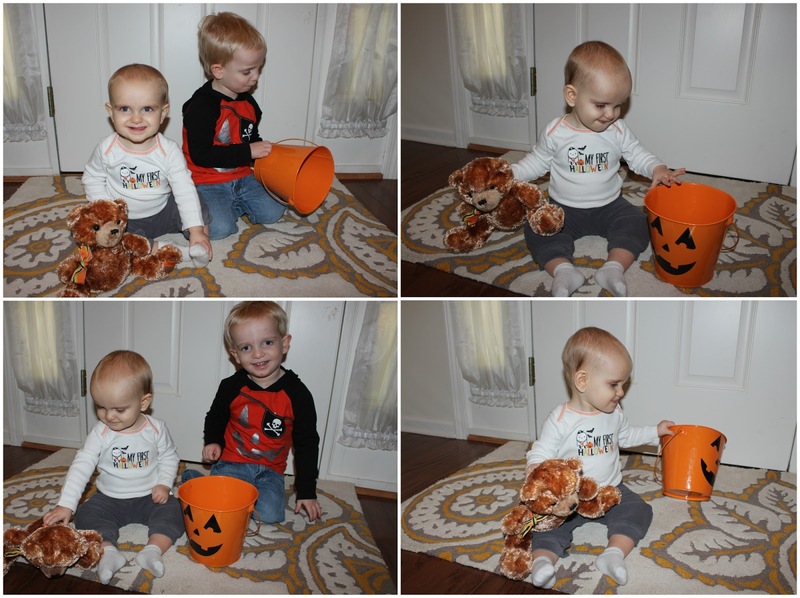 I just wanted a picture of these two in their Halloween shirts. The Tardis with her Doctor and Stormaggedon. While the Tardis is a time traveling spaceship, it has a persona that has been shown as female. Weird, I know. It is also "bigger on the inside." It was an acronym devised by one of the early Doctor's companions and stands for Time and Relative Dimension In Space. 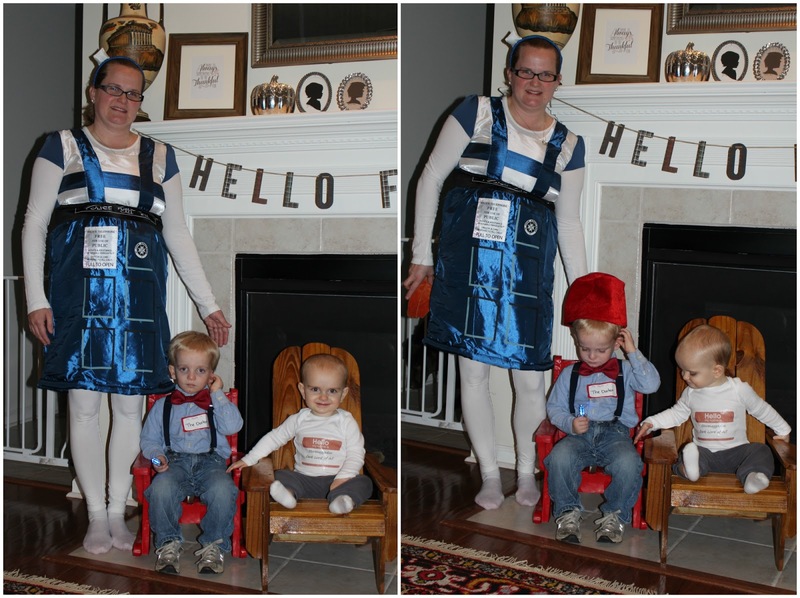 Baby Stormaggedon does not seem concerned that a Dalek is nearby probably because the Doctor will protect him. Sorry if there is an empty space where Evan should be, but Silence do not appear in photographs since you wouldn't be able to remember them. Wink. Our sweet baby Stormaggedon. 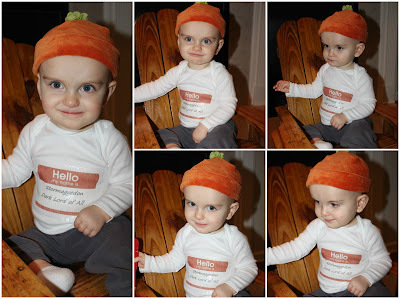 I imagine all babies want to be called Stormaggedon Dark Lord of All or something of the like. 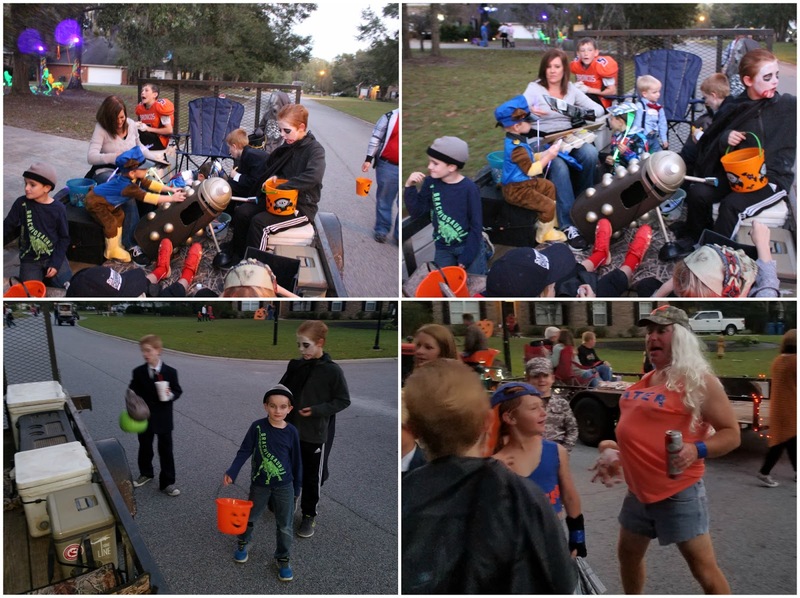 The rowdy bunch of trick or treaters in our gang. That trailer was quite full and a bit scary with the Dalek in the middle. The most funny sight of the night was the redneck Florida Gator's fan. 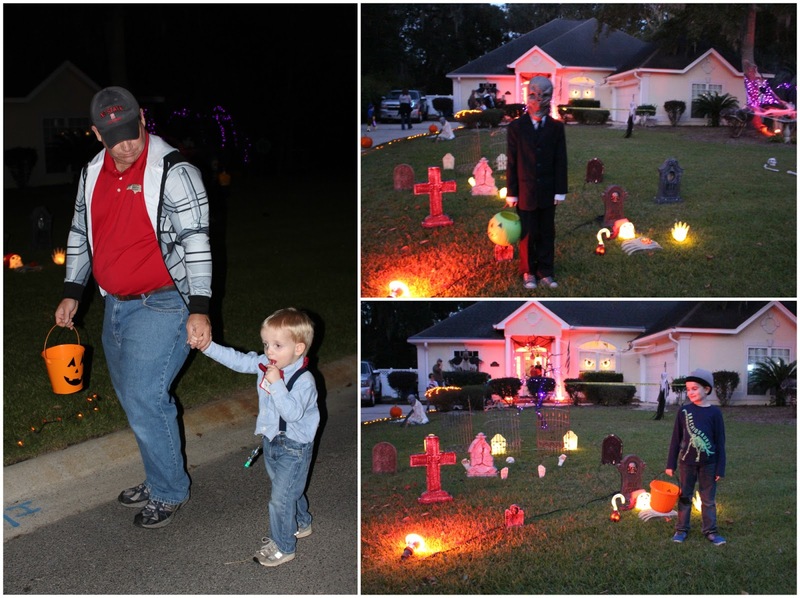 Daddy and Mattox trick or treating at their own pace. Brody thought he spotted the Silence in that graveyard, but then he disapppeared. 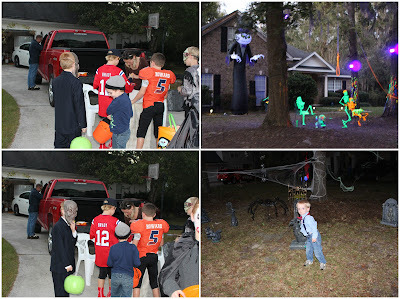 I hate that I got very few pictures of the boys actually trick or treating, but it was so dark and the big boys were too fast. 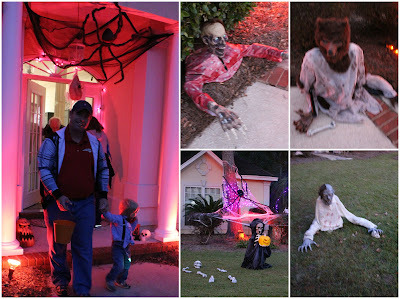 While our neighborhood isn't the most festive we have lived in, there were some good houses. 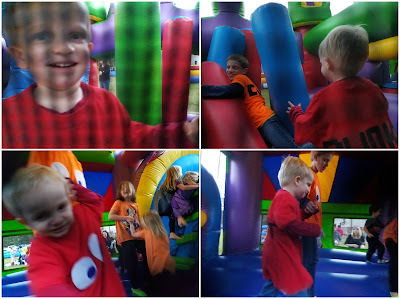 The zombies are always a hit. 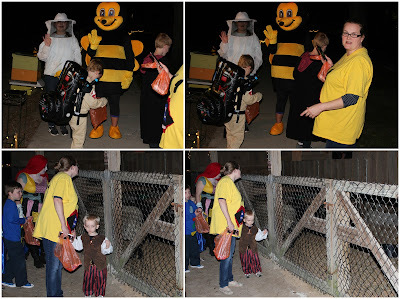 We spotted Beetlejuice. Mattox passed out in that chair on the ride back home. 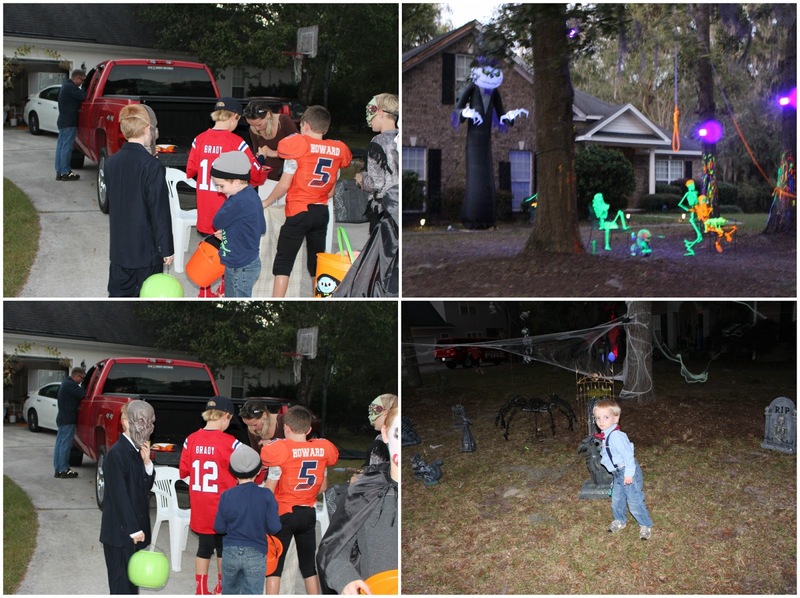 Evan and his friends chose scarier costumes this year...I guess that is a sign they are growing up. We had Dracula, Jason, and the Silence. 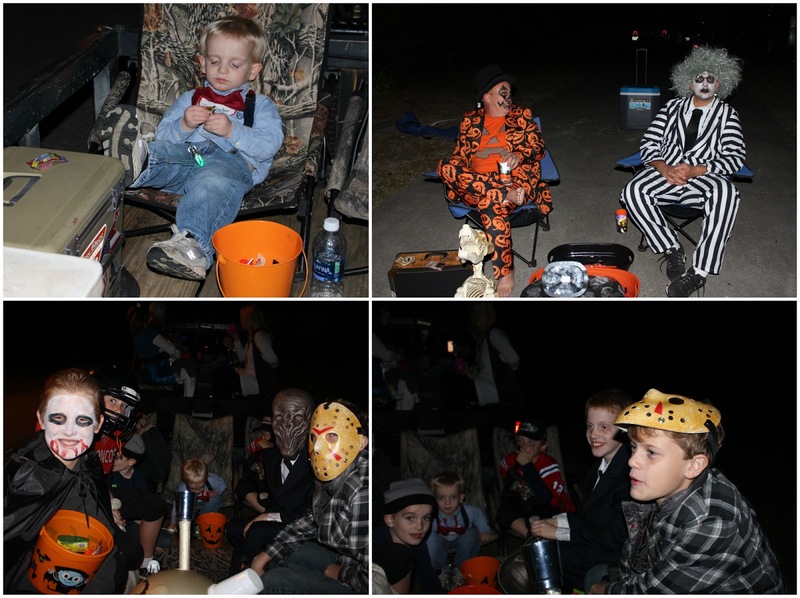 The boys got a good stash of candy. 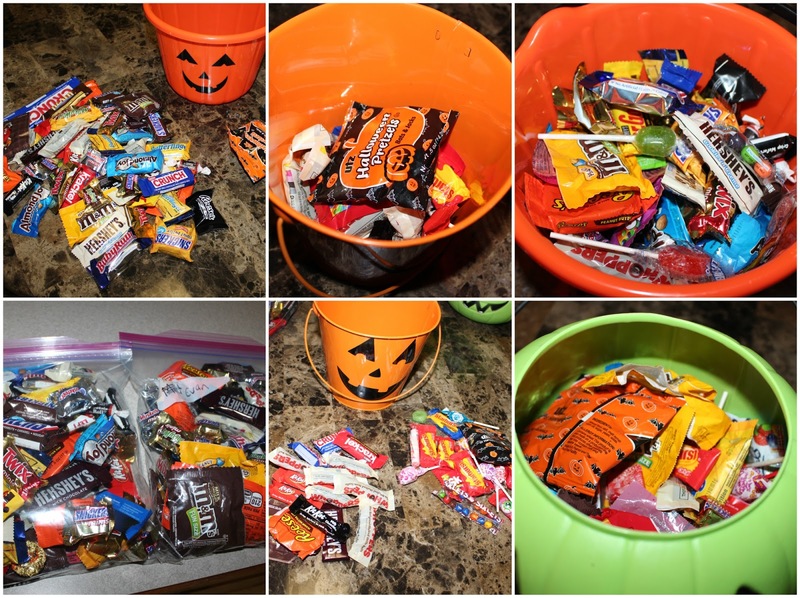 I separated out the chocolate and the not chocolate, and they each had a gallon sized bag of chocolate with some big candy bars in there. 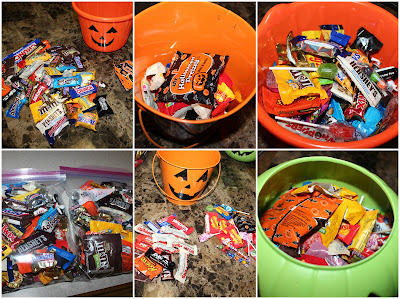 I keep the non-chocolate for a while, but most of that gets thrown away eventually. Evan will eat all the starburst, and we all love Skittles. Mattox likes the lollipops. 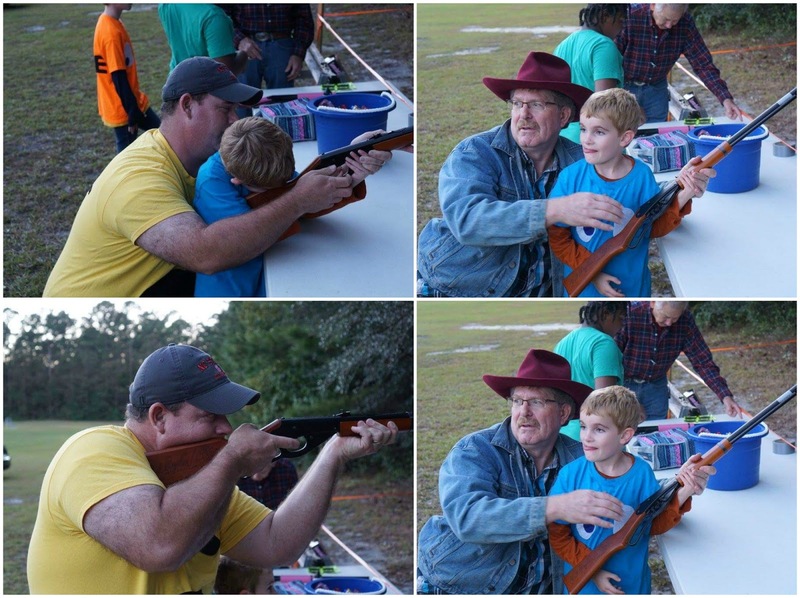 At our church festival, Brody learned to shoot a rifle. 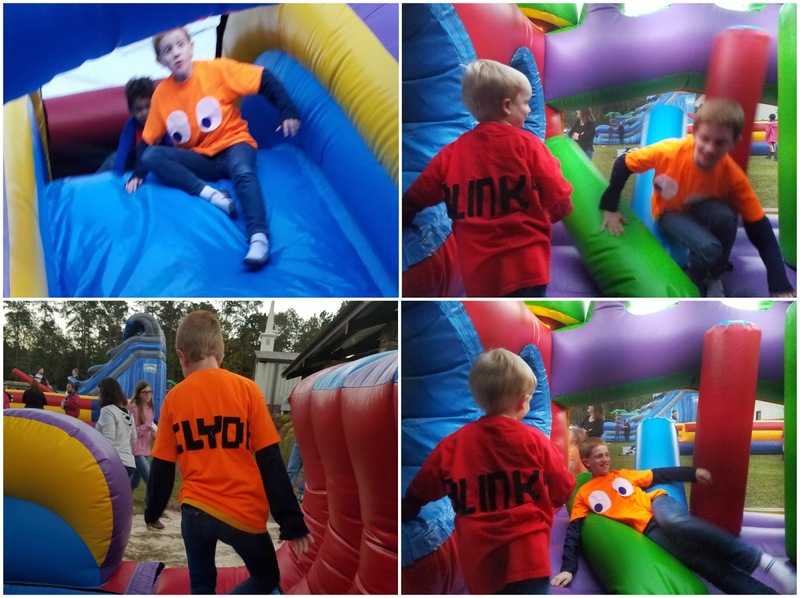 Blinky made another appearance at the festival and was just adorable. He loved playing the games and jumping in the inflatables. 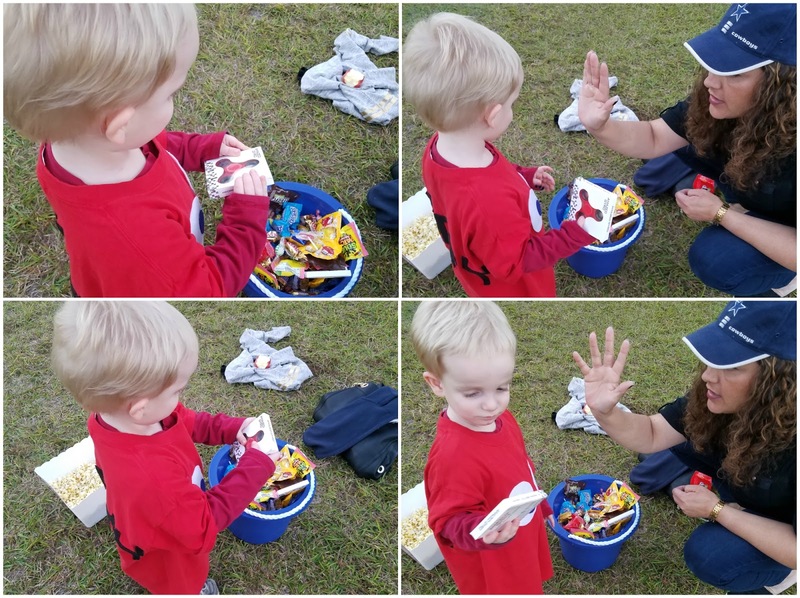 He was very happy with his fidget spinner that he got as a prize. He even left Mrs. Shay hanging for a high five because he was too distracted. Clyde got Blinky to join him in the inflatables. 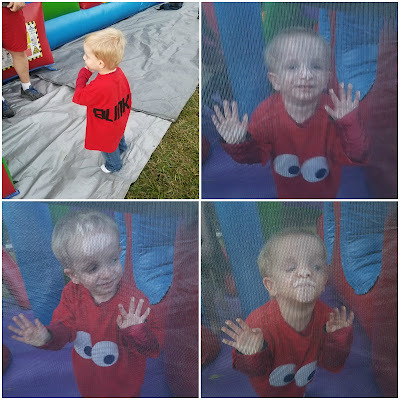 He even braved some inflatables by himself and was so cute looking out at me. Evan mostly enjoyed the gladiator style fighting inflatable. 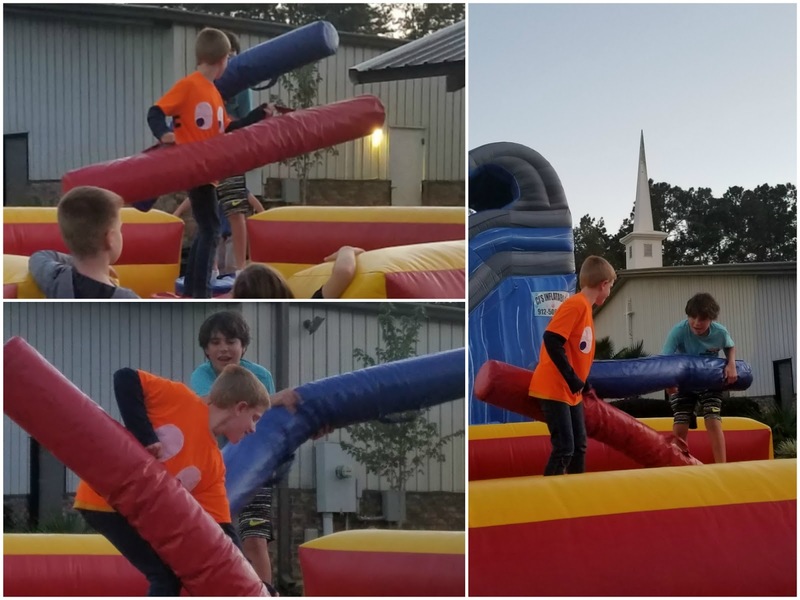 He and his opponent stayed up for such a long time that Evan finally just gave up because he was bored with it. Mattox loved the little petting zoo with a miniature horse, llamas, goats, and chickens. 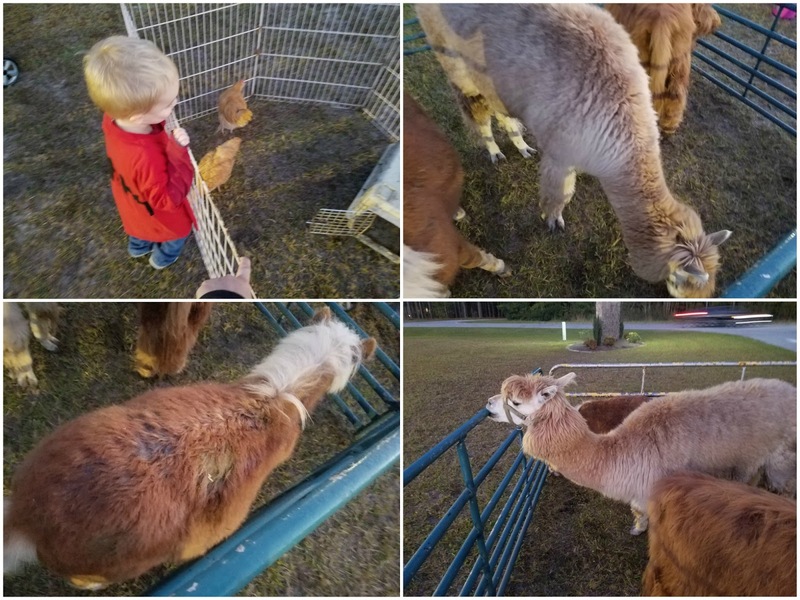 The baby goats were fun to feed. 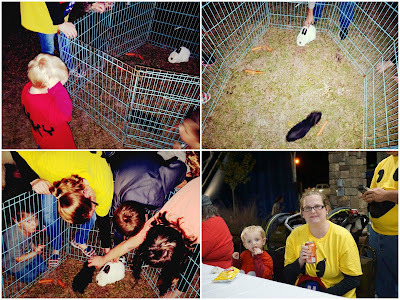 Of course, our favorites were the bunnies. We enjoyed cooling off with a drink and snack.